Having done some heavy travel both domestically and internationally, it’s clear that with each new adventure there is a unique experience to accompany it at the airport. Over the years, it can be a headache when you’re singled out to have a mandatory pat down of your headscarf or you end up with a time-consuming check of every piece your life that you packed in your carry-on luggage. One of my most delightful experiences in dealing with the [Transport Security Administration] happened at Reagan National Airport (DCA) where I was flying out to visit part of my family in Miami, Fla. I had arrived with more than enough time to go through security as the lines were, of course, backed up and long. But hey, what’s new with that? It was finally my time to go through the security check — and after walking through the body scanner, I was immediately directed into the “holding cell.” For those who are unfamiliar with this, it’s an area off to the side reserved for those of us who have been deemed as a special interest or require additional security screenings. 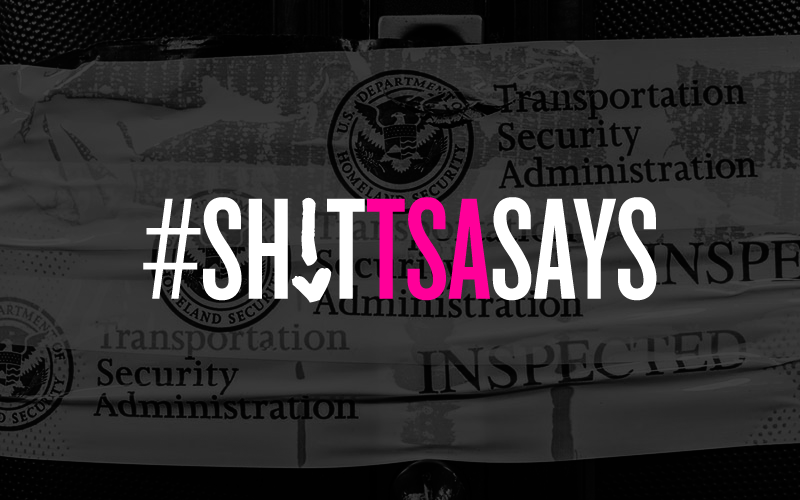 It was at this point that a male TSA agent yelled, “We have a code blue.” We have a what? I’m a what? It took a few minutes before the guy walked over to me again and yelled, “We have a code blue over here.” If I didn’t get any attention from the first time he called that out, people in the security line were now definitely paying attention to the hijabi standing there with a TSA agent yelling out special code words over her. Finally, he yelled code blue even louder and a female TSA agent walked over to me and replied, “I heard you the first time, arms up please — and do you have any pins in your headscarf?” Stupid TSA — all that just to pat down over my headscarf.